A farmer has spoken of his shock after his tractor was destroyed by fire just seven weeks after a huge barn blaze. Two fire crews were called to a field in Berrow, Somerset at around 9:15am on Monday (September 25). 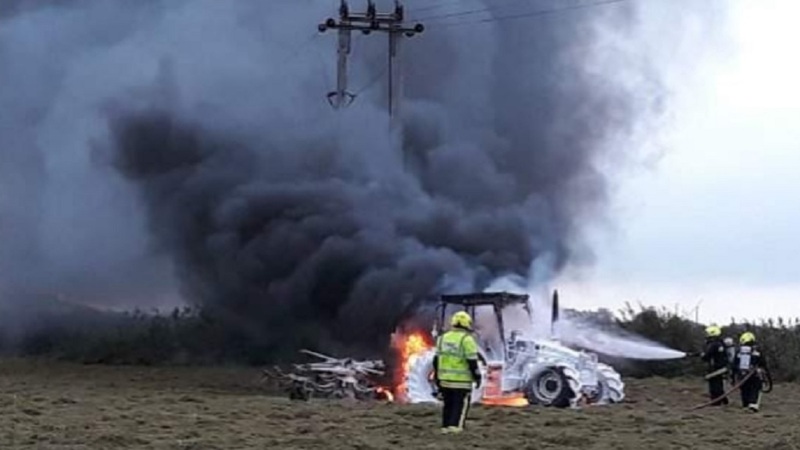 The vehicle was found engulfed in flames and crews used a compressed air foam jet and two breathing apparatus - but the fire had destoyed the tractor. Farmer Richard Bigwood told Burnham-On-Sea.com: "My brother was using it to cut grass when smoke suddenly started pouring out from under the hood and it quickly went up in flames. 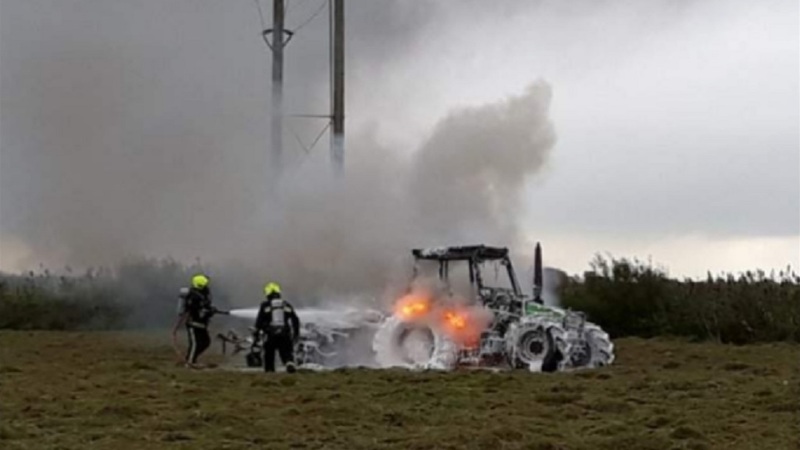 "The fire spread to the whole tractor and despite the quick response of the fire crews, sadly it’s a complete write-off, but at least no-one’s hurt. "I have had a very unlucky year after suffering a big fire that destroyed a barn and winter feed during August. Now this. I’m starting to know the fire crew on first-name terms." The barn fire, which caused thousands of pounds worth of damage, was caused by ’internal combustion’. Six fire crews were called to fight the blaze and bring it under control over three days. One woman was treated for the effects of smoke inhilation during the fire which broke out on August 4 in a barn measuring 100m x 50m. Farmer Richard said: "It’s caused by heat building up inside wet hay a few weeks after baling. 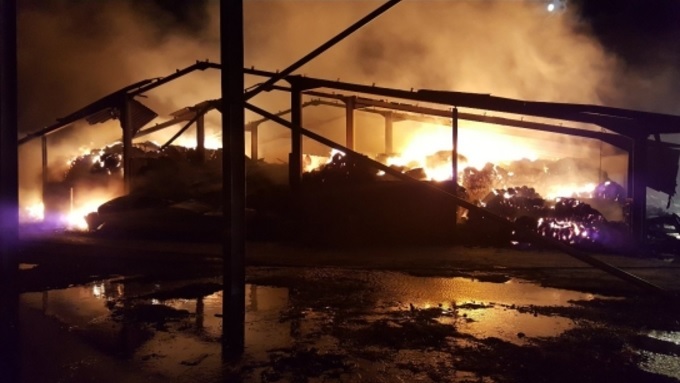 "It was a huge fire which destroyed 650 hay bales and 100 tonnes of our silage - all our winter cattle feed. But it could have been a lot worse if it had happened at night when the cattle and nearby caravans could have been lost. 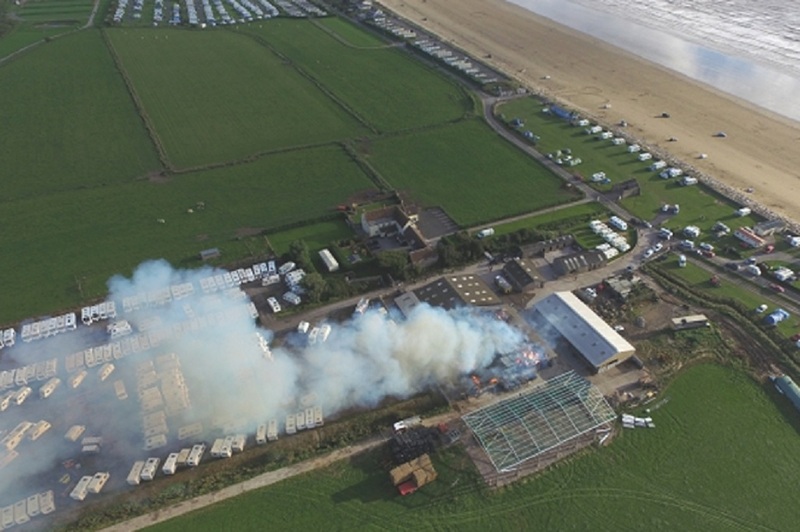 "I’m very grateful to all those who helped to move the livestock and caravans, plus the fire crews for their work, and all those who have offered support."